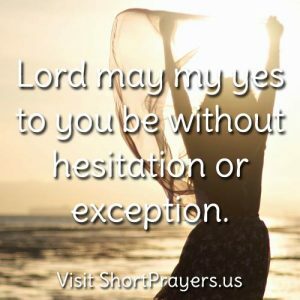 Lord may my yes to you be without hesitation or exception. So many times we want something in return for our help or cooperation. When God calls us may we answer a resounding and unqualified Yes!